CPL Scott J. Procopio Memorial Scholarship Fund | Saugus High School students can apply for the scholarship through the standard SHS Senior Scholarship Application package which is available from the guidance office. The requirements vary year-to-year, but are all included in the information you will recieve. In 2012, we hope to being taking online applications, and we will make that option available when it is ready. Click Here to Download Scholarship Application! The CPL. 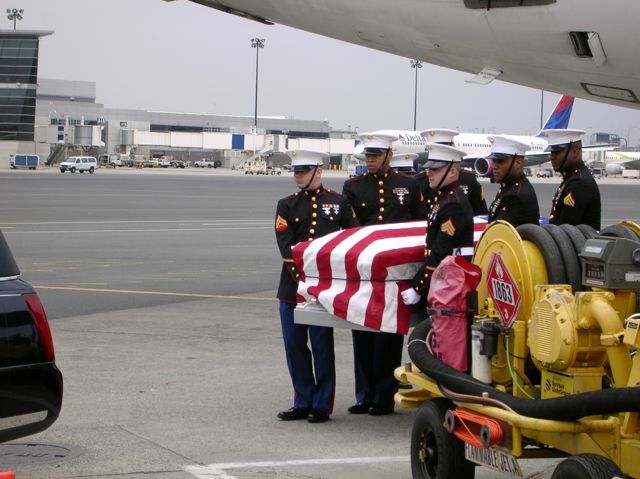 Scott J. Procopio Memorial Scholarship Fund was created as a direct result of the combat death of United States Marine Corporal Scot J. Procopio, of Saugus, on April 2, 2006, in Ramadi Iraq. The purpose of the fund is to provide educational scholarships and assistance to deserving members of area schools, and to provide educational scholarships and opportunities to the children, siblings and spouses of members of the United States Armed Forces who have been killed in combat operations. We have been awarding annual scholarships to graduating local seniors in memory of Cpl. Procopio since 2006, with nearly $70,000 in scholarshisp awarded to date. Currently the standard scholarship award is $2000, payable directly to the student to defray the costs of tuition, fees, books or any other expenses involved with attending college. We do not limit the number of scholarships we give out, and most years have given between three and five awards, depending on the applicants and quality of the submissions. Saugus High School students can apply for the scholarship through the standard SHS Senior Scholarship Application package which is available from the guidance office. The requirements vary year-to-year, but are all included in the information you will recieve.